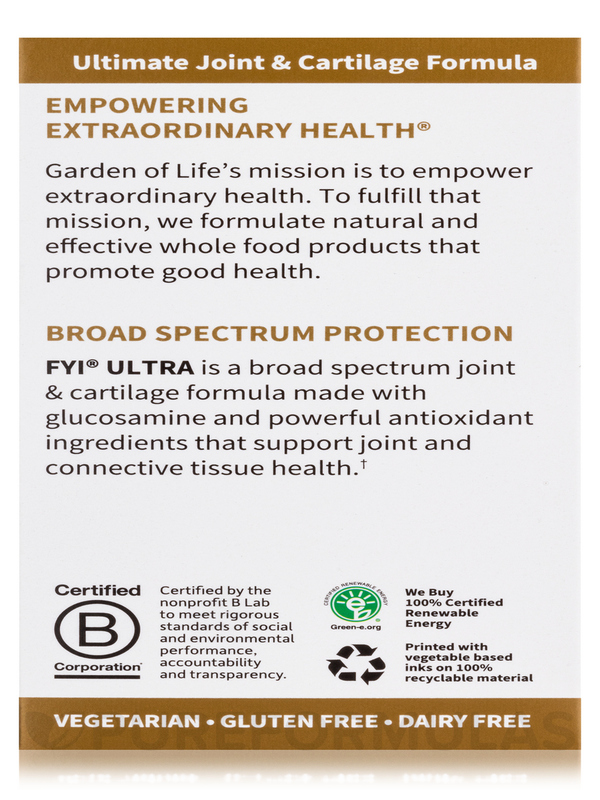 FYI ULTRA helped my knees; I will stay on this! 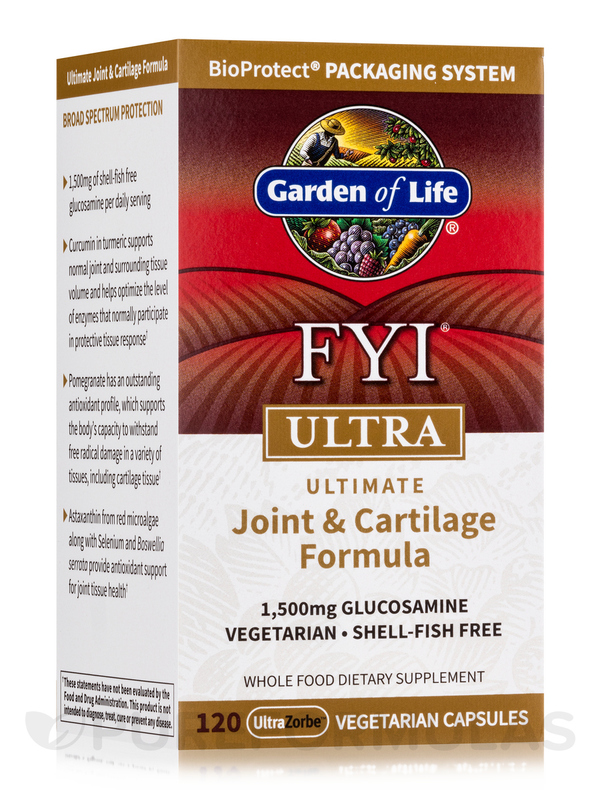 FYI® ULTRA Vegetarian Capsules from Garden of Life® is a vegetarian supplement that may help the body build cartilage and strengthen joints. 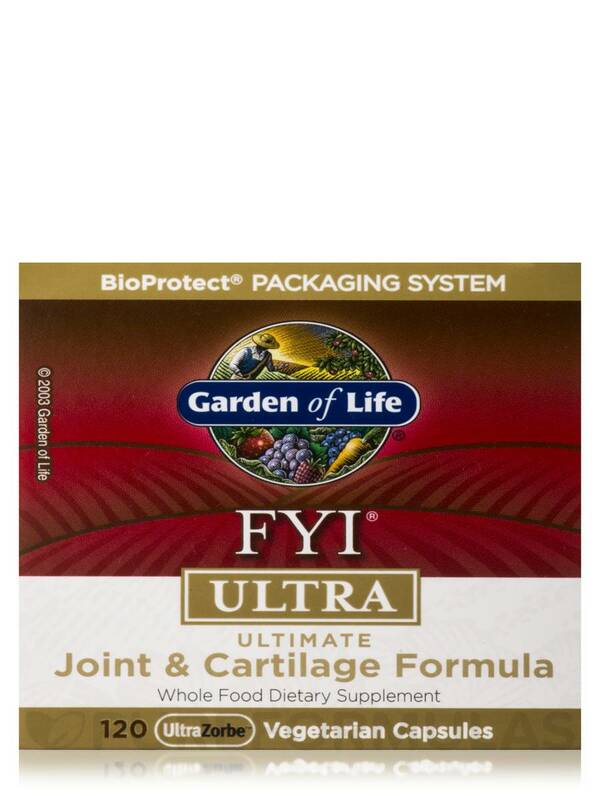 This dietary supplement for adults contains a blend of nutrients to promote healthy joints. 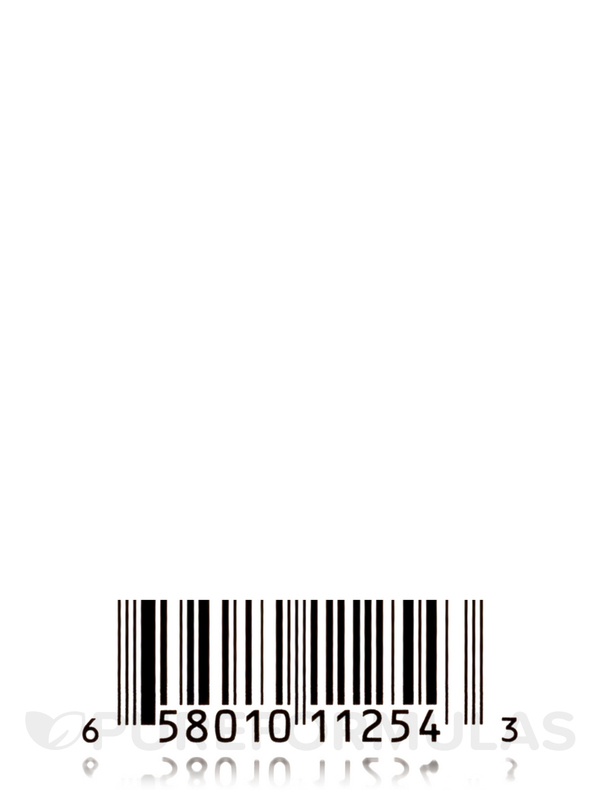 Cartilage is the tissue that provides cushion at the end of the bones. 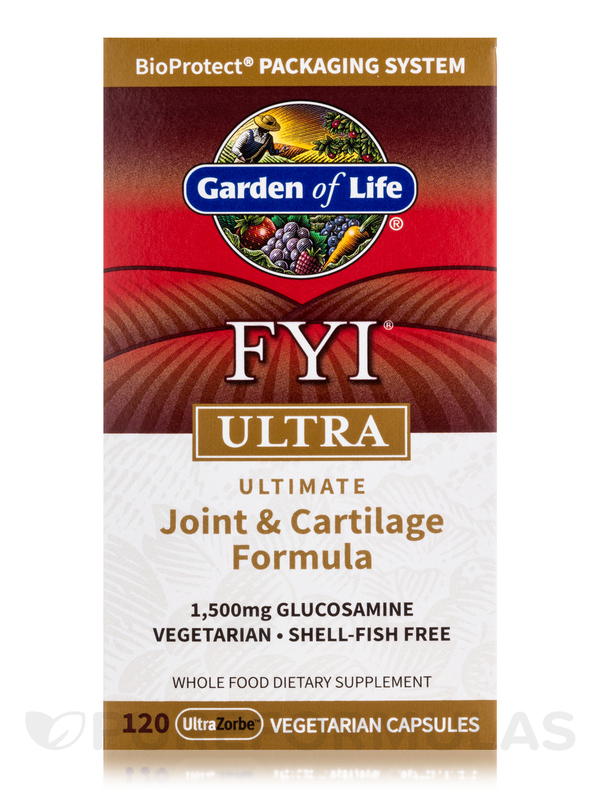 This shellfish-free supplement from Garden of Life® contains glucosamine‚ a compound found in the joints and connective tissues and may be necessary for cartilage repair. 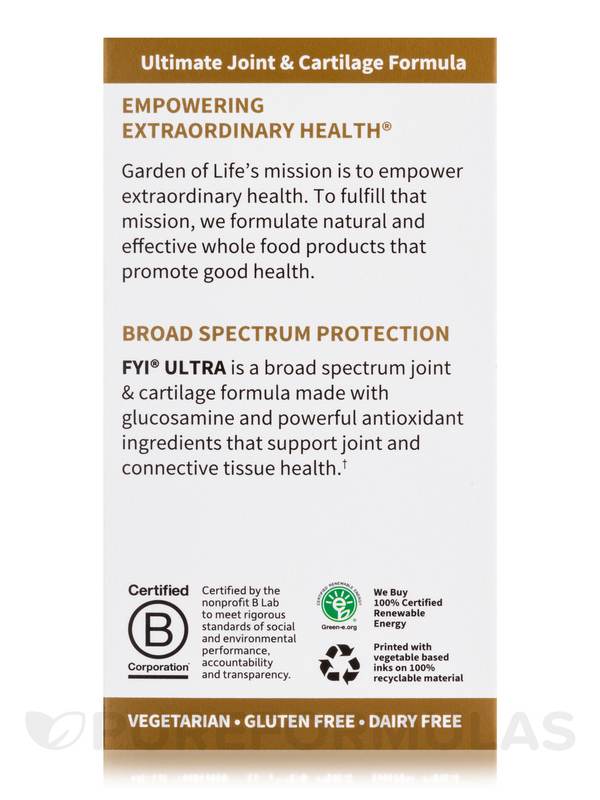 Gucosamine could also ease pain‚ stiffness and swelling of joints‚ thereby supporting joint health. 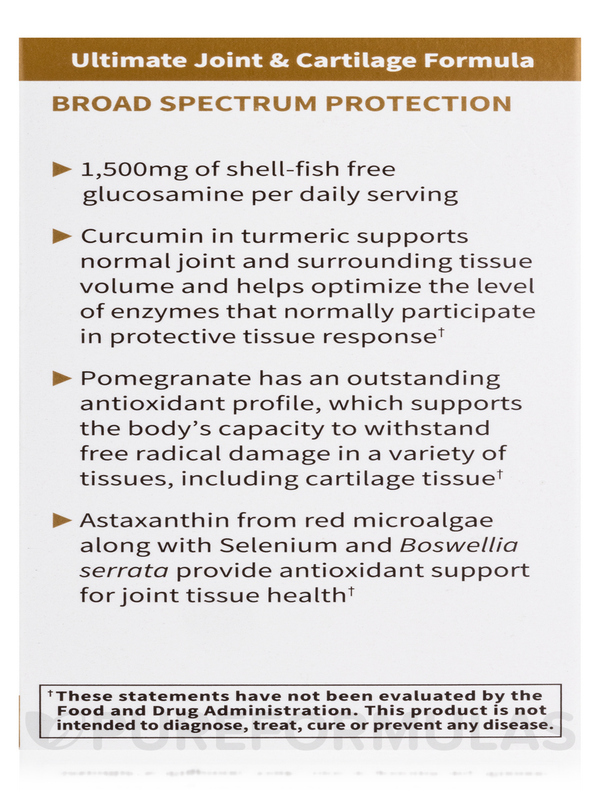 The protective tissue response blend contains turmeric‚ boswellia and ginger. 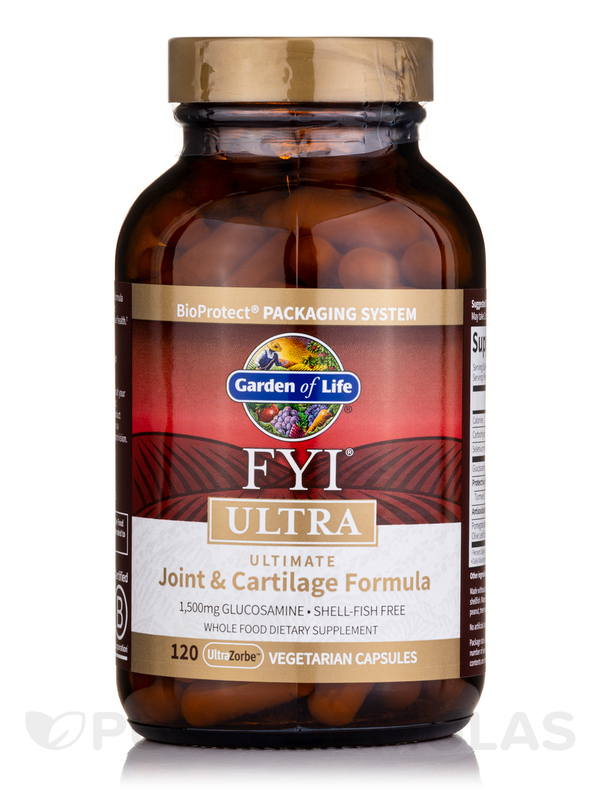 Curcumin present in turmeric could increase the range of movement present in joints. Ginger might decrease joint pain and inflammation. 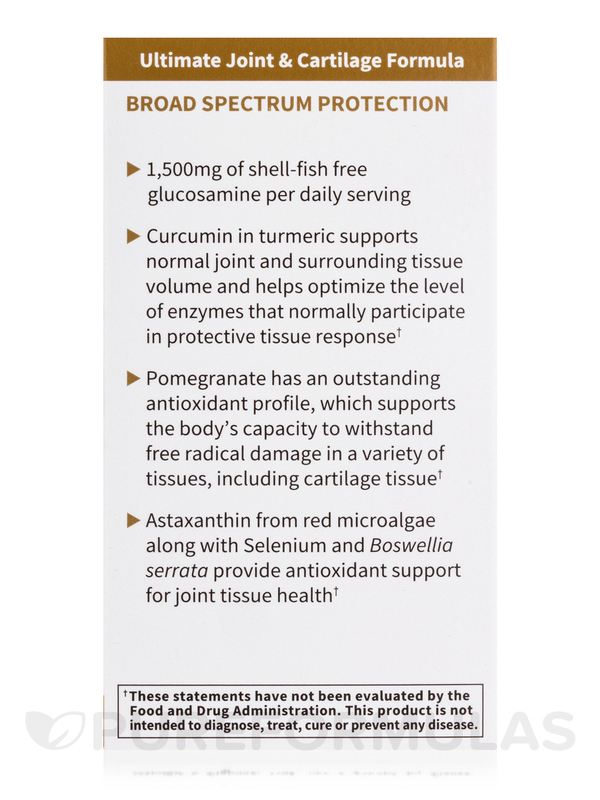 The antioxidant cartilage health complex present in the supplement from Garden of Life® contains pomegranate extracts‚ selenium and astaxanthin that could possess antioxidant properties to neutralize harmful free radicals present in joint tissues. 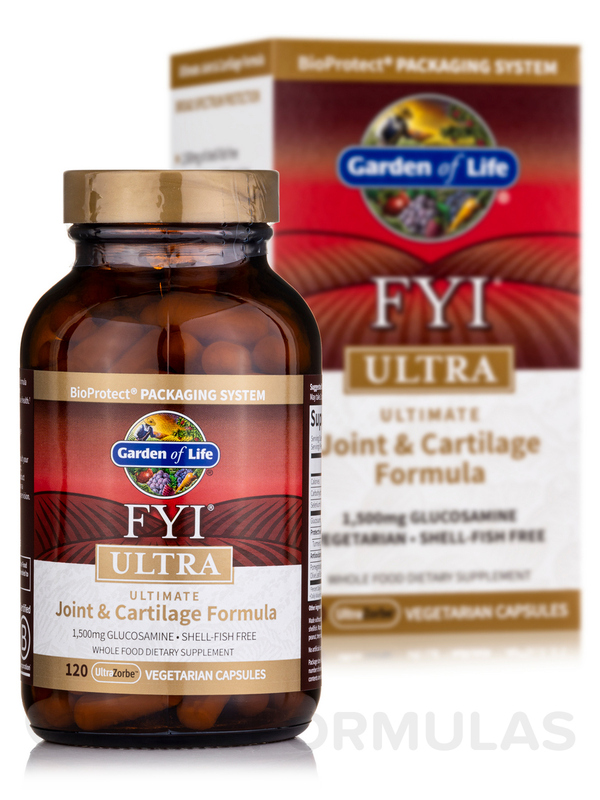 Get FYI® ULTRA Vegetarian Capsules from Garden of Life® today to improve your joint health. 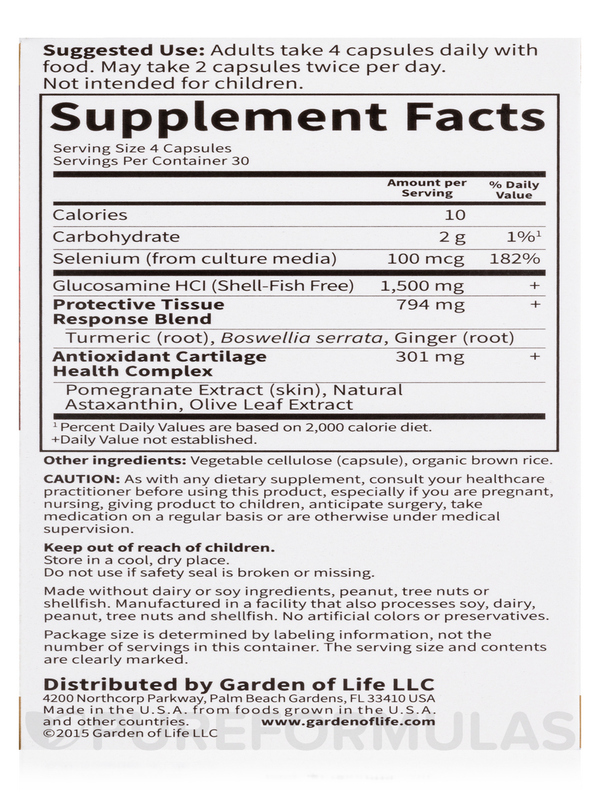 Other Ingredients: vegetable capsule (cellulose)‚ magnesium stearate ( vegetable source)‚ silicon dioxide. Adults take 4 capsules daily with food. May take 2 capsules twice per day. 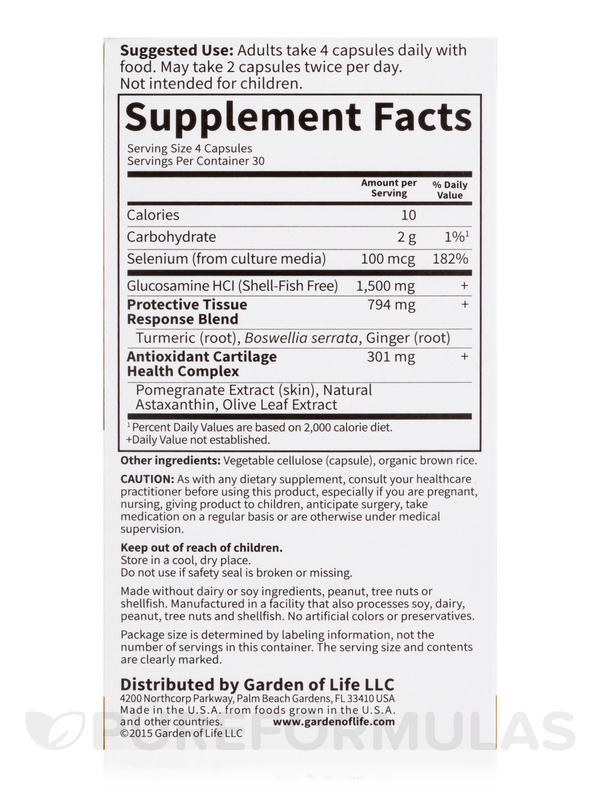 Hi there Julian, everyone reacts to boswella serrata, turmeric and ginger differently. Please speak with your health care practitioner, who is familiar with your needs, to find out if these ingredients will cause an upset stomach for you.